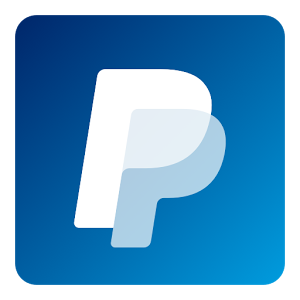 The improved design is available now! 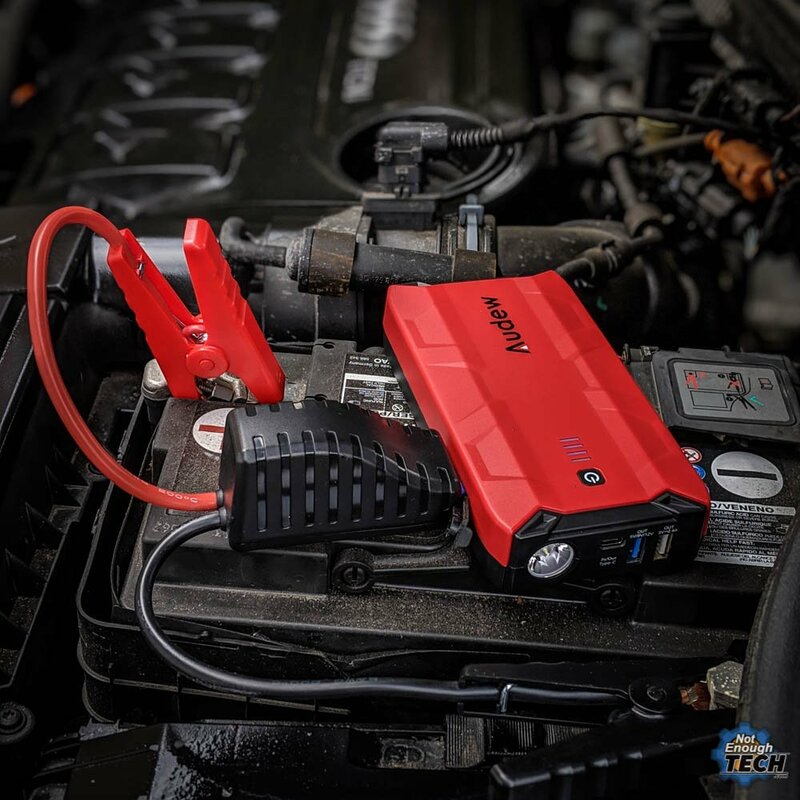 Months ago I got to try the Audew Jump Starter battery kit. A handy kit that would save you from being stranded due to a car battery fail. 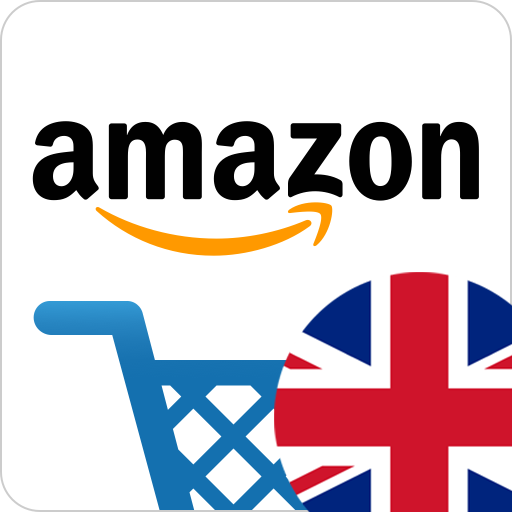 It was hard to argue uncompromised usefulness, but I had a couple of suggestions on how to make the product better. 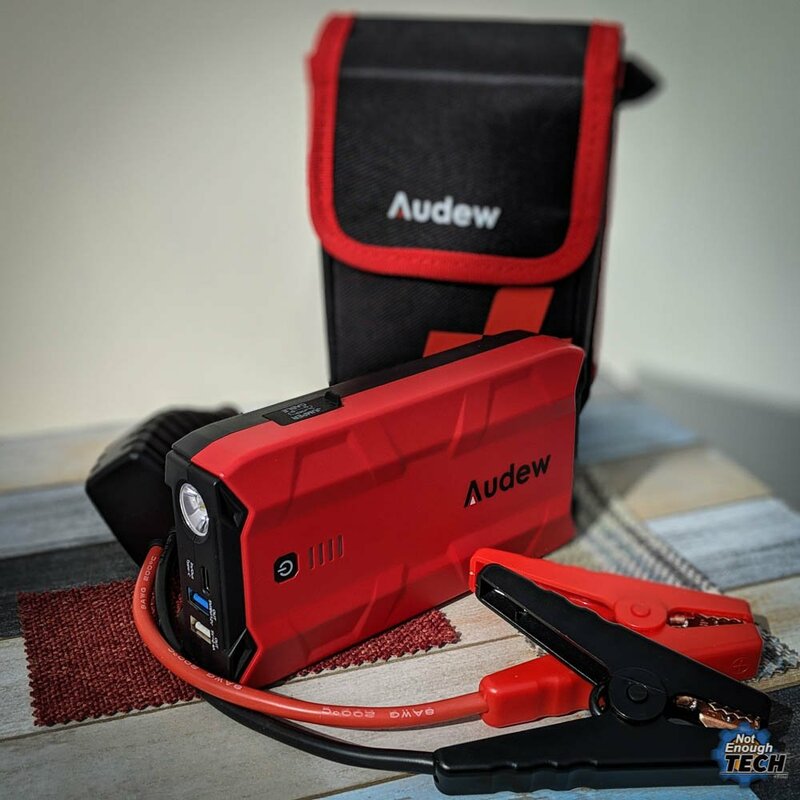 Apparently, the feedback has been taken in the consideration as the new Audew Jump Starter battery kit is out and it comes with new solutions to the old problems. This time around the pack is smaller in size, lighter and comes in with USB-C charging. The battery itself is enclosed in plastic hardshell instead of metal making it lighter. The USB ports are rated for 2.4A and QuickCharge, and the power is delivered via reversible USB-C port. There is one more change I should mention. The older battery pack came with the card socket adapter, this one does not. 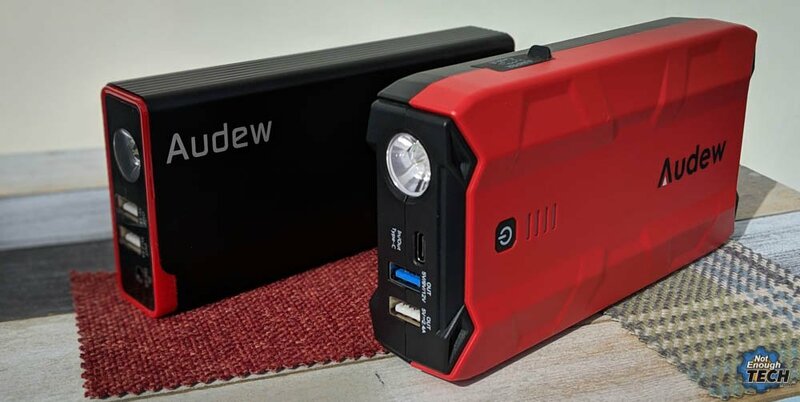 While at first, I thought this was just an omission, the Audew Jump Starter battery comes with a proprietary DC jack that delivers 15V instead of 12V. It might be useful to some. The battery is rated for 10000mAh which is decent. It’s on the bigger side compared to the other batteries I own. Other than that, this is a solid piece of kit. I only wish it would come with longer USB-C charging cable, as the cables included are on the short side. Inside the pack, you will also find jumper cables, an no charger. I think it would be nice to have something like this charger included in the pack. 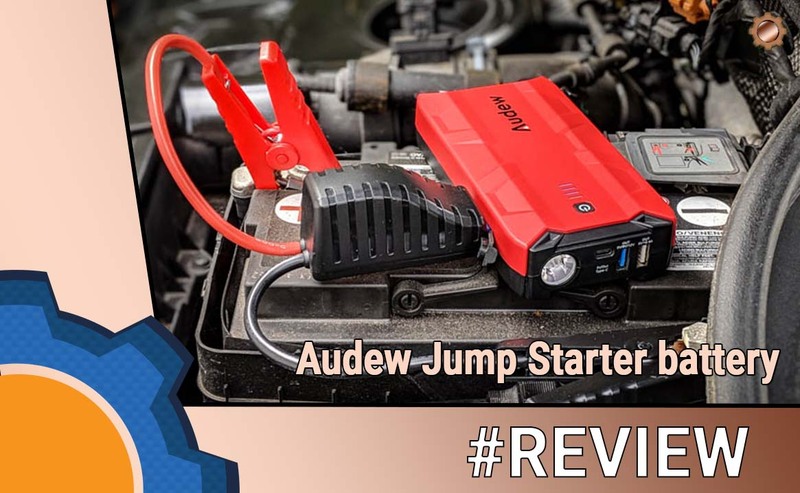 The Audew Jump Starter battery has been provided to me for the purpose of the review. 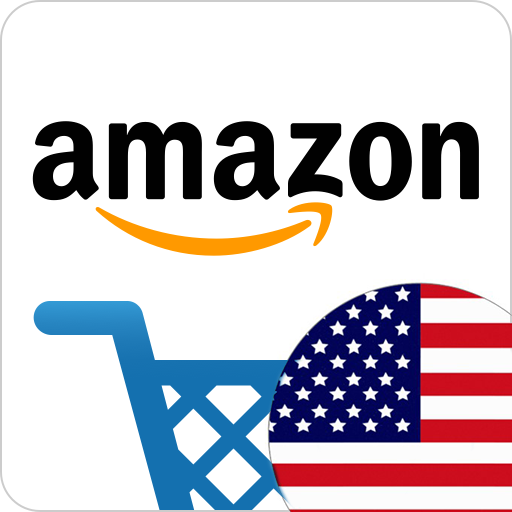 As usual, with all my reviews I reserve the right to an honest critique of the product. It’s a battery, it’s not the most exciting thing to write about, but getting stranded in your car without the power isn’t either. I’m looking forward to the upgraded experience as anything that conforms to the USB-C standard is a welcomed addition. 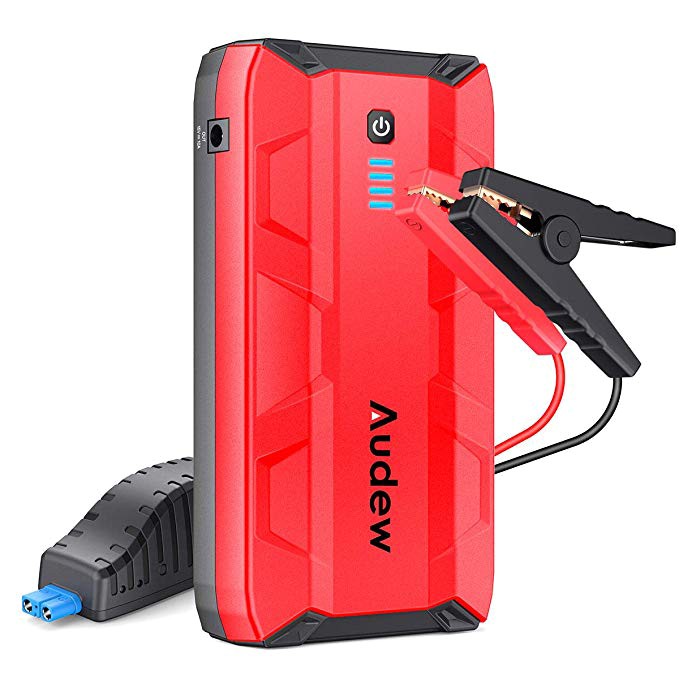 So if you in the market for a car jumper pack – Audew Jump Starter battery is a good proposition to consider that comes at $60/£60. Questions? 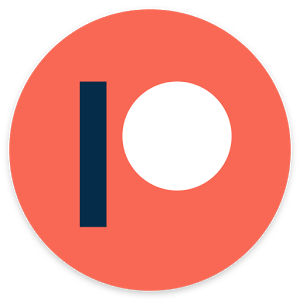 Let me know in this Reddit thread.